When you embark on a home or room decorating project, you probably spend a considerable amount of time selecting furniture, flooring and paint colors that merge together in the most complementary manner. A key component of any room design is the lighting. It is the lighting that impacts the functionality of a room and highlights the decorative features you have included in the design. Because lighting plays such an important role in the atmosphere and appearance of a room, it is best to shop where you have a diverse assortment of lighting designs to select from. Almost every room needs more than one type of lighting. Shopping in one location for all of your lighting needs makes it easier to achieve a cohesive drama in your overall decor. When you select lighting for your home, it is more visually attractive if there is a style related connectedness in the type of lighting you choose. 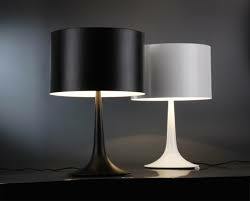 Modern and contemporary lighting is quite versatile. When you want to update a room, replacing the current lighting with more contemporary designs can make an immediate impact on the room. By layering the lighting in a room, you can make the room function on a variety of levels. The lighting in a foyer can be the first opportunity you have to impress guests or give them a quick insight into what type of decor lies ahead. A living area, kitchen and dining room needs task lighting and ambient lighting. The addition of decorative lighting will enhance the appearance of these room. You can use lighting to illuminate wall art or a specific piece of unique furniture. When you select lighting for a bedroom or bathroom, you want to layer the lighting so that you can have sufficient light at the vanity and total room illumination with a ceiling fixture. In addition to that, you can add wall sconces to create a relaxing mood in the room. Chandelier lighting is also a mood setting form of lighting for a bathroom. Once you begin browsing through the wonderfully unique and diverse modern and contemporary lighting fixtures that are available, you will be impressed with the options you have. You will find that by making the right lighting choices, the atmosphere in one room can go from lively to romantic with the flip of a switch. Light fixtures can easily be considered a form of art in any room.